Undefeated Russian lightweight Khabib Nurmagomedov, who marked his last UFC fight with another dominant victory at the end of December, recently hosted a meet and greet session in his native Dagestan. RT Sport caught up with him. While Nurmagomedov only emerged on the radars of casual UFC fans fairly recently, he has long been a big hero back home in Russia, especially in his native Republic of Dagestan. Unsurprisingly, his appearance in the city of Khasavyurt, in the north of the southern Russian republic, attracted widespread attention. Staged in the local Center of Traditions of the Peoples of Russia, the seminar had the goal of raising awareness of the problems faced by disabled people, and especially those who suffer health issues from a young age. Unfortunately, the venue proved too small for the masses of fans looking to catch a glimpse of their heroes – in particular Nurmagomedov, who has gained cult status among young Dagestanis. After watching a short movie about the preparations for his last UFC fight and some local folk dances performed on stage, Nurmagomedov and Nazirov took to the stage to answer questions from the youngsters. Most were unsurprisingly addressed to Nurmagomedov, who was encouraged by young fans to bring the UFC championship belt to Russia for the first time. However, Nazirov also gained a much-deserved share of the attention. After the seminar, RT Sport talked to Nurmagomedov on his native soil, in a house belonging to one of his friends. On December 30, just before your fight with Edson Barboza, we all learned that you had become a father for the second time. You now have a son as well as a daughter. Was it additional motivation for you that night? Yes, this was a big motivation for me. I became a father for the second time, and he was born on the day of my fight. When I was going to the cage I was thinking about it. My son is going to watch my fights (later on) and it gave me a big motivation. Do you think that one day you will bring your son to the gym, so he will take his first steps on the wrestling mat like you did, and then follow in your footsteps in martial arts? Yes, I think so. Because it’s very good for kids, when they train and go to school. I don’t know about his future, but for sure he’s going to train. Maybe we’re going to wrestle with bears (smiles). We’ll see what will happen. We know that you try to keep your personal life out of the spotlight of the media and fans. But could you tell us the name of the future champion? Another big topic discussed before and after your fight with Barboza was your weight cut. We all saw that you were in really good shape. Obviously you made some changes in your preparations and diet. I did it perfectly. I made weight. I showed that I can make weight… Ferguson says that I didn’t make championship weight. But why do I need to show this, when I can show 156 (lbs) or 155.5? Next time I have to make 155, and will do this. No problem. But what was also noticeable was your mindset before and after the fight. You seemed to be very relaxed, but very confident at the same time. Is that also part of your new preparation for fights? I think everything just came together: big motivation, how I’m hungry (for victory), (plus) my son was born. I don’t know if I will ever have a day like this. I became a father for the second time, and show one of the best performances of the year. Because UFC gave me performance of the year. Not just performance of the night, performance of the year. I think it was a perfect night for me. We know that your father and coach Abdulmanap Nurmagomedov criticizes you quite often for the mistakes he notices in your fights, even though you’ve never lost a single round in the UFC. What did he say after your fight with Barboza? Yes, I talked a lot about this fight with my father. He said – you go forward a little bit too crazy, you have to be careful, because your opponent is very dangerous. He has very good kicking, very good boxing, a very dangerous knee, flying knee. We spoke about it a lot, but the number one (thing) – you have to win. But we not only talk about this fight, we talk about all my fights. Now we know that you will be fighting against Tony Ferguson in April, and the UFC said that it’s going to be a title fight. Not for an interim belt, but for the championship title, which technically means that Conor McGregor will be stripped of his belt. 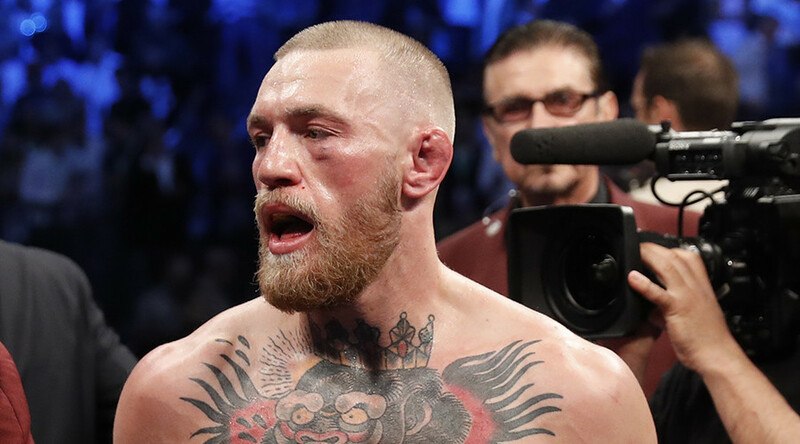 However, Dana White avoided the question on whether they will strip Conor or not. Why do you think they don’t want to announce it? I spoke with Dana (White), I spoke to everybody about this situation. But they say we are going to fight for a vacant belt, vacant undisputed belt. This is not Tony Ferguson’s interim belt, this is a vacant belt. And after when we fight (on) the 7th of April, on the 8th of April they are going to make it official – whoever wins becomes the real champ. Now Tony Ferguson is still an interim champion. Whoever wins becomes the real champ. What do you see as the main danger Ferguson poses for you in the fight? Could it be his unorthodox technique? His jiu-jitsu? Or something else? I don’t think he has better jiu-jitsu than me, or better grappling. I think he’s unpredictable a little bit, he has very good knees, very good elbows. But I don’t think he’s ever fought with somebody like me, who’d have pressure, top control, strong, good everywhere. And when we’ll go to the cage I’m going to show this. Me and Tony Ferguson, it’s a different level. The fight itself is set to happen in Brooklyn, a city that is well known for its big Russian-speaking community. Last year you had a meet and greet session with your fans over there. How did it feel to be abroad but still see so many Russian-speaking fans supporting you? I don’t think I only have Russian fans, I have a lot of American fans, fans around the world. But UFC had a plan to make this show in Seattle, Washington. When they asked me, and I approved this fight, they changed it to Brooklyn. Because of me, not because of Tony Ferguson. I feel like UFC begins to promote and support me. And now we’re going to change a lot of things. 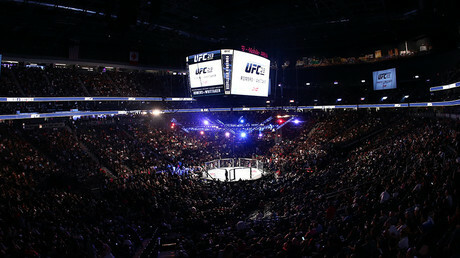 We now know that the UFC have plans to host an event in Russia, and they have already booked a venue in Moscow for it. Do you have any information about that event? Because your father said that you will most likely participate. Were there any discussions with the UFC about this? Yes I spoke with Dana, and he said that it’s not official, but they are working on this. He said that Russian business gives him a little bit of a hard time. Because this is not like other parts of the world, this is Russia. And you have to make business a little bit different here. Another thing that we learned recently is that a Russian businessman has reportedly purchased a share of WME-IMG, which owns 90 percent of the UFC. Many reports suggest that it could be your friend and the person who has supported you and the Eagles MMA team for a long time, Ziyavudin Magomedov. Do you know if that’s the right information? I don’t know anything about it to be honest. I know that Ziyavudin has plans to make Fight Nights (Russian MMA promotion Fight Nights Global) big. I don’t know about his buying 10 percent in the UFC. I’ve never heard about this. Logically, it now appears that if you win the lightweight belt by beating Tony Ferguson, you will defend it against Conor McGregor in Russia. 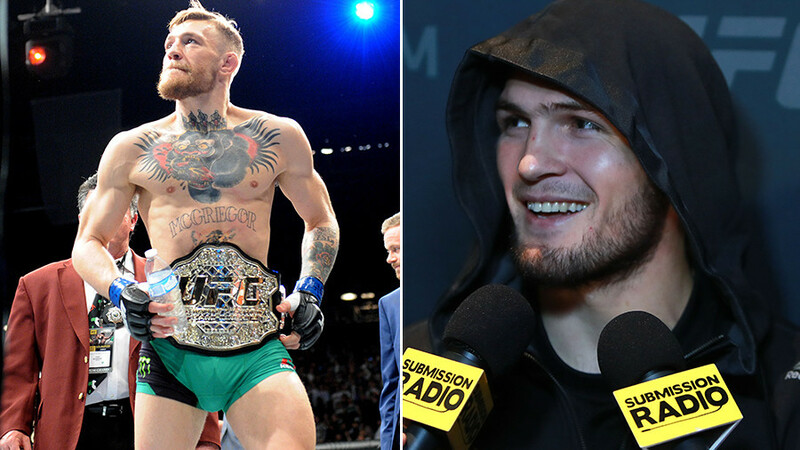 Do you think Conor will accept this fight, considering all other options he will have if the UFC strip him of the belt? From fighting Nate Diaz, to going back to boxing. Do you think he is interested in fighting you? He can fight with Diaz, he can fight in boxing, but when I will beat Inshallah (by God’s will) Tony Ferguson, I am going to make him humble. And he will have to stay on the line. He’ll have to stay on the line because he has only one fight in 155. And he wants to fight for the title? No, no way. When I become UFC lightweight champ I am going to say ‘hey, who is a real contender, who has five, six or seven wins streak.’ They have to fight for the title, not you. We will see what happens, but I don’t think that he will ever fight with me. I think they understand what will happen. We’ve heard that apart from your cousin Abubakar Nurmagomedov, there is another fighter that has recently signed with the UFC, and whose last name is also Nurmagomedov – Said Nurmagomedov. So now many people are curious if you are related to Said? Do you know him at all? Yes, I know Said. He is a very good friend of mine. He is an amazing fighter. But he is not my cousin, we just have the same last name. I think he has very good chances in the UFC. What about your cousin Abubakar Nurmagomedov? We’re going to sign him. But not yet. He has a fight in March in Russia, and after (that) we are going to sign him. 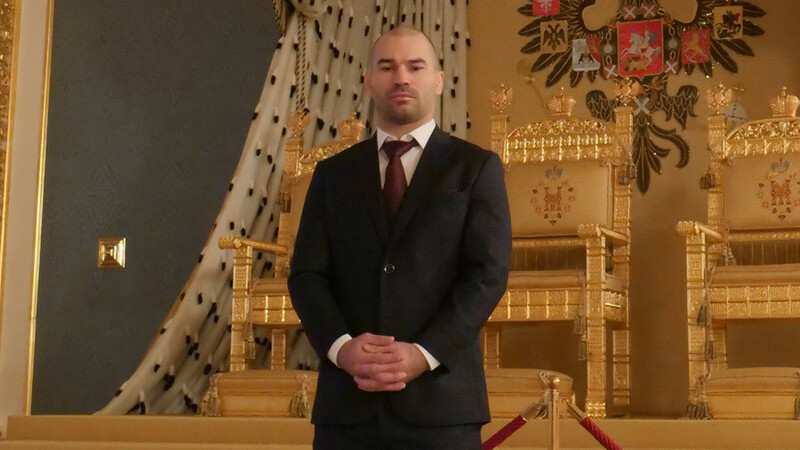 What about other fighters coming from Russia – who in your opinion have the biggest potential to become a big name in the UFC? 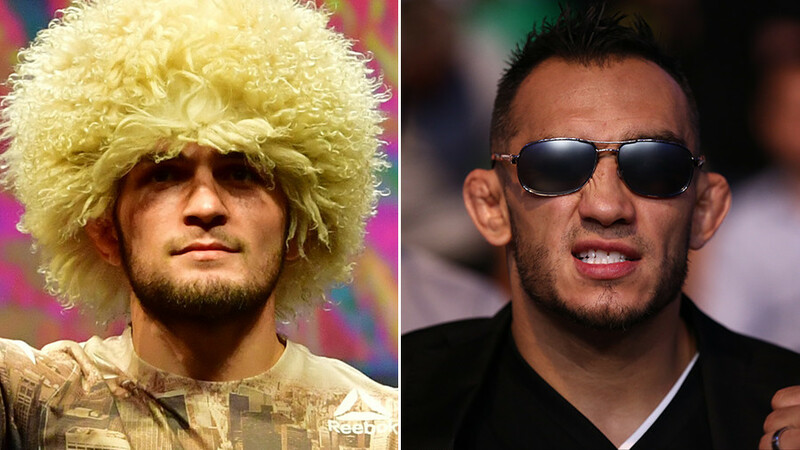 When I think about it, there are two names – Zabit (Magomedsharipov) and Islam (Makhachev). I think these guys are still young, but strong everywhere – striking, grappling, wrestling, mental. They need a little bit of time. Maybe not this year, maybe next year everybody is going to talk about them.